Under its new brand and visual identity, Delphi Technologies will present its industry leading GDi service program, including the new Excalibur GDi test bench, a full-service steering solution and additions to its braking and engine management lines. BOLOGNA, ITALIA – At Autopromotec Bologna (22-26 May), Delphi Technologies will showcase how it’s helping distributors and garages prepare for servicing new vehicles with an extensive range of OE and aftermarket solutions. With a proven capability in state-of-the-art OE engine management and powertrain control technologies, the company has an intimate understanding of the specialist requirements of this sector. Products on display on the Delphi Technologies stand - Hall 16, Stand F6 - include its latest OE hybrid and electric vehicle technology, as well as a new GDi service program and enhancements to its core programs including steering, braking and engine management. Delphi Technologies’ new GDi service program is just one example of how the company is using its deep understanding of the latest vehicle technologies to help its independent aftermarket customers. Most recently, it launched the Hartridge Excalibur GDi Master. The latest generation all makes test solution, which uses the same platform as the Sabre CRi series and Toledo HEUi Master, gives workshops the ability to test both GDi and PFi systems in as little as five minutes. Together with OE parts, diagnostic tools and training, distributors and garages will be able to take advantage of one of the fastest growing areas of vehicle repair. 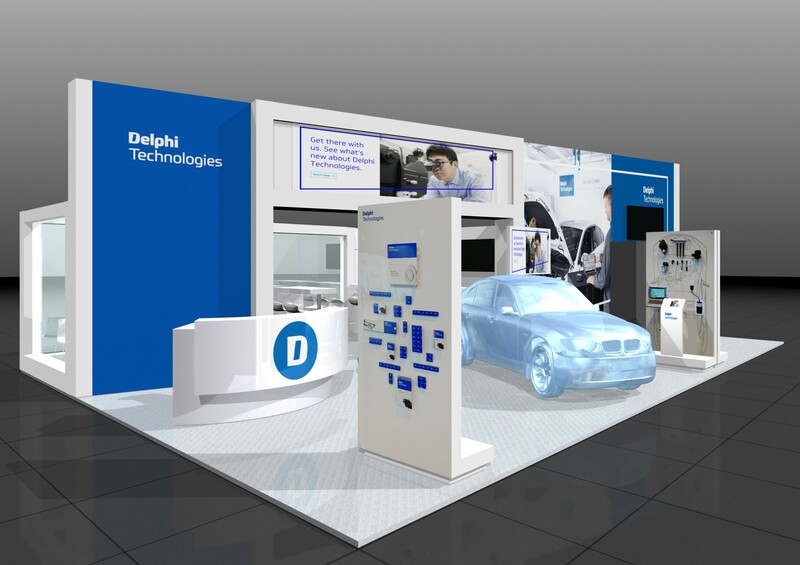 At the show, Delphi Technologies will also demonstrate how its core aftermarket portfolio of brakes, steering, air conditioning, ignition, engine management and fuel injection systems are providing technicians with high-quality repair and service parts. New additions include a full-service solution for steering with all the parts needed for right, first-time fitment in the box, first-to-market brake pads and significant new-to-range sensors including a new line of exhaust gas temperature and diesel exhaust pressure sensors. The show will also provide a platform for the company to present its vibrant new aftermarket packaging to the Italian market. Featuring the Delphi Technologies logo and colorways, the new packaging comes in both a wallpaper print and a retail design for products such as brakes, steering and fueling. A new design, using higher quality materials, will offer better protection during transit and storage, whilst optimizing space on the distributor’s shelf.